I was on my daily ramble (more like scramble) through the countryside this morning. It was exceptionally blustery. If I had tried to open my umbrella to shield myself from the onslaught of rain I feel quite certain there would have been a Mary Poppins moment. There was only one thing I could think about whilst battling the elements…Chocolate Concrete. 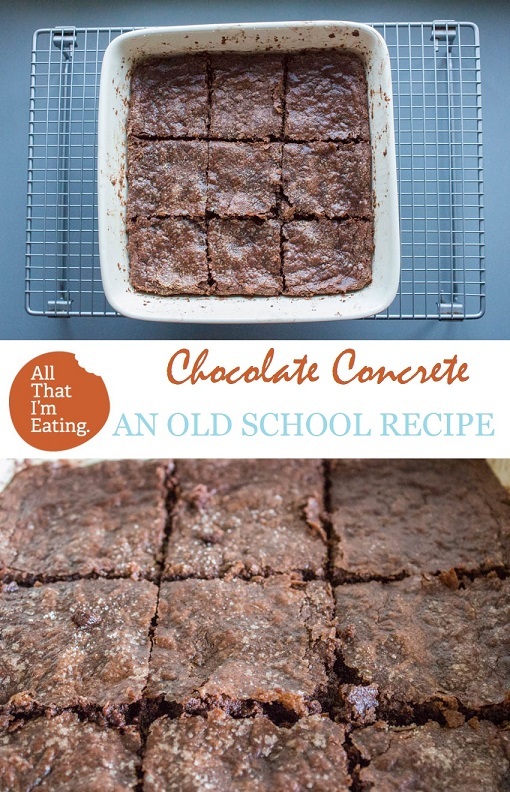 Chocolate concrete is an old school recipe that I got from my Granny. 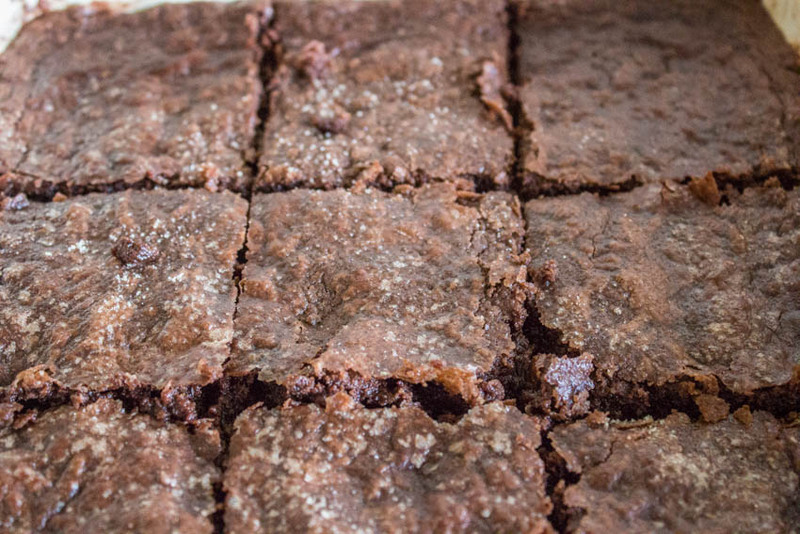 There’s nothing quite like this recipe, it’s so versatile, quick and easy to make. I probably make it once a fortnight and it gets consumed like there’s no tomorrow. All you need do is to melt the margarine and add the vanilla extract to it. Sieve all the other ingredients into a bowl and mix them up. Mix the melted margarine into this. 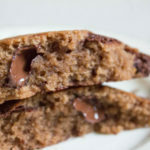 When you do this you’ll be convinced that it’ll never mix and there’s far too much flour and cocoa and that I’m a fool. Just keep on going and soon it’ll look like the above. Put this into a tin, brush the top with water and then sprinkle with sugar – this gives it a nice crust on top. Bake at about 150C for 15-20 minutes or until firm when pressed. You can put this into one large baking tin, or two smaller ones if you want to make it nice and thin. If you prefer it thicker then just use one smaller tin but increase the cooking time by 1o minutes or so. 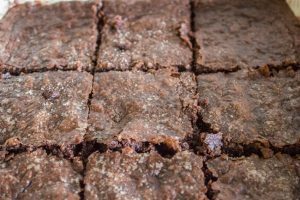 The beauty of this biscuit is that if you put it in a small tin and end up with a fat biscuit, it’s almost like a brownie but without all the effort. If you make it really thin you end up with chocolate concrete. Any other thickness is still pure deliciousness. I used to make this with my Granny and it’s still my absolute favourite thing to make and eat. We’ve progressed onto more complex things now but don’t underestimate the simplicity of this bake. 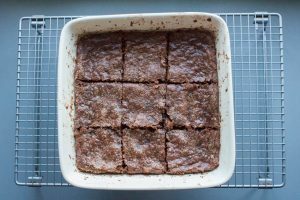 If you fancy baking something which hits the spot with minimal effort and washing up or you’re short of time then this is the one for you. 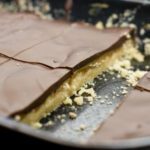 Try all sorts of different baking trays to play around with the thickness and see which one is best for you. « Service – how much does it matter? You know, I’ve never heard of chocolate concrete but I absolutely love the name! Isn’t it funny how our Granny’s recipes all stated margarine, since that’s what they were used to; but if you change it to butter it just doesn’t taste the same in bringing back the memories! Cheers to chocolate concrete! So that’s what you meant when you mentioned you had chocolate concrete in the oven.. gotta try that! Bye the way love the idea of that small saucepan, what a great idea, must find me one of those. I have never heard of chocolate concrete! This does look fantastic though, I appreciate a solid chocolate flavour. I have never heard of this either, but it sounds delicious! Will have to give this a try, and soon. Thanks! I’m sorry but the name of it almost turned me off but I knew I had to look since it was chocolate. How hard is it to cut if you make it thinner and more concrete like? Lllarrrrrr!! This sounds amazing, and really easy to do! 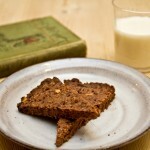 I love Granny recipes, they’re always perfected through years in the making! WOW!! How lucky to have Granny’s recipe? 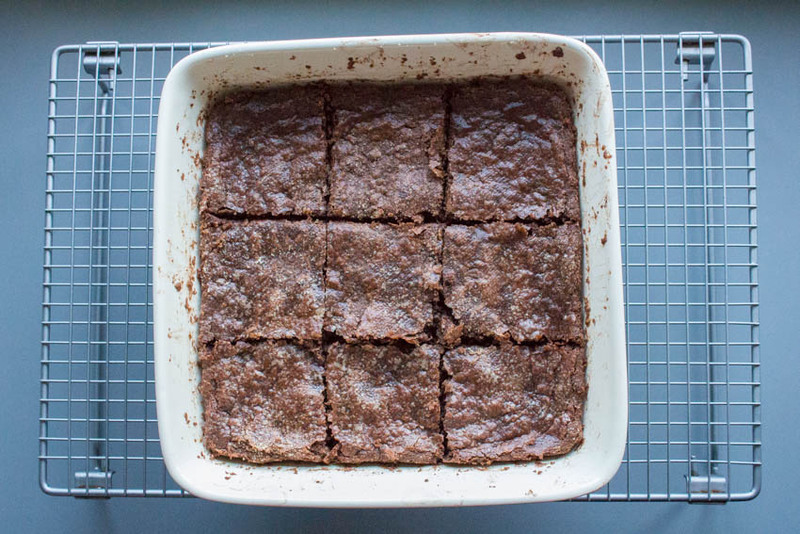 The sad thing is I don’t mine would even make it out of the pan…would eat the whole darn thing up fast. This is so neat and different! Easy too! I am going to have to try this. I made this last night for my boyfriend to take to work. but he’s forgotten it so I’m stuck with it – dangerous, especially as I had to use a mix of butter and marg!